In Romania 166 organisations have joined the campaign locally known as Hai pe Net! organised by EOS Romania. Libraries are very active contributors to the campaign and librarians invited citizens to take part in various activities for young and old. High school students were testing their skills using skillage.eu, creating online profiles on YouRock.jobs, while the smaller ones received tips on how to safely surf the Internet. Library volunteers at the Northern Branch of the Medgidia Municipal Library offered their guidance and support to visitors for the first two days of the campaign. In addition, special activities were organised for people with visual impairment to attract attention of the general public to the issue of vulnerable groups and accessible web. LIKTA in Latvia gathered over 150 partners covering almost all municipalities in the country. High-level opening of the campaign took place on Monday involving policy makers, Digital Champion and industry leaders. Online discussion with innovative teachers was organised to address the development of e-skills for our digital natives (starting from 3 years of age). Tuesday was dedicated to present YouRock.jobs to youngsters, Wednesday saw digital events for SMEs. Have a look at the e-skills ambassadors in Latvia. Young Russians from 39 cities across the country had a chance to visit training centres and schools on Tuesday to check their ICT skills, learn about career opportunities in IT and master the basics of programming. Over 100 events were tailored to young people in Russia and two country-wide contests have been launched as part of GOW 2015: “Master of Code” for youngsters from 12 to 18 years of age, and “I’m choosing a Career in IT” for secondary and high school students. Check first photos of GOW 2015 in Russia. Italians got lucky this year – two organisations have prepared a number of events in Rome and Emilia Romagna region. RomeCup 2015 with educational robotics as a way to engage young people in technology started yesterday organised by Fondazione Mondo Digitale and will continue for the rest of the campaign week. Another Italian partner ERVET introduced a new regional portal “Lavoroperte” (Job for you) on Tuesday. The portal offers employment related services and the presentation to students and focuses in particular on job and training opportunities related to digital skills. Coop Estense, one of the largest consumer cooperatives in the region, organised two meetings with youngsters as part of the campaign to address two topics: new digital jobs and safety on the net. Initiated and supported by Austrian Digital Champion Meral Akin-Hecke, WerdeDigital.at is running a series of 5 open webinars since Monday. Among the topics of this week are: the new world of work, publishing online, online collaboration, online identity, innovation in digital education and many more. Austria has joined GOW 2015 for the first time this year. Open the Windows organisation pays special attention to people with disabilities and their families. All their GOW 2015 activities are targeted to help these vulnerable groups learn new computer skills, this year focusing on young people with disabilities. Read a short story about Ivana and her son Matej. In Germany Stiftung Digitale Chancen is collaborating with TU Dortmund to run GOW country-wide. So far many courses and trainings took place in some schools in Dortmund on cybermobbing, safe use of Facebook, basic skills of PC, all organised by student volunteers. In Berlin primary schools kids had a chance to learn SCRATCH programming language to build their first games. Read more about it here. On Monday FRSI officialy launched the Polish Get Online Week in the Presidential Palace with a large audience of participants and media attention. More than 200 organizations confirmed their participation in the campaign (see the map here). Our national partner Telecentar organised workshops for young people on how to use Europass, YouRock.jobs and Skillage.eu. Free ICT courses were organised at IAN Telecentre in Serbia to teach youngsters more about the importance of digital literacy. YouRock.jobs was in the spotlight in Spain as well. El Teb run a workshop for telecentres and facilitators at the International Meeting Point of Comunidad Española de Telecentres in Fuerteventura. Association Langas į ateitį organized seminars for unemployed youth, school children and students about managing reputation online and introduced YouRock.Jobs. More GOW updates can be found on our Facebook page or Twitter. Follow the campaign this week using #GOW15! This week, from March 23rd to 29th Telecentre Europe organises, together with partnering organisations, the 6th edition of the European Get Online Week (GOW). In 2015 the Campaign will see the involvement of 25 countries and directly target more than 50,000 Europeans. Can we teach digital competence? The GOW pays special attention in these last years to young people. They are often considered ‘digital natives’ and therefore assumed to be digitally competent. But in reality, the skills they use for their day-to-day activities and social interactions are not the same skills required for the fast paced, ICT dominated work place. It is therefore important to raise awareness amongst young people that, for their future employability, their digital skillset has to expand. disadvantaged populations have no digital skills at all. Although the GOW initiative wishes to reach as wide an audience as possible, it is specially focused on helping low educated, unemployed, elderly, retired and inactive citizens discover and make the most of digital technology. Since 2010, the year in which GOW first started, over 700,000 people have been involved in campaign activities. This year is Get Online Week 6th edition. GOW 2015 was launched at the eSkills Conference in Riga on March 13th by Telecentre Europe’s Chair Mara Jakobsone. It was the first event of the European Commission’s eSkills for Jobs Campaign 2015, a campaign in which the Get Online Week 2015 is again embedded. Telecentre-Europe AISBL (www.telecentre-europe.org) is a not for profit international association based in Belgium. It provides inclusive support to the vibrant network of ICT learning centres (also known as “telecentres”) in NGOs, libraries, municipalities & education venues all across Europe, to increase their impact and effectiveness and foster knowledge sharing & learning amongst its members. There are an estimated 20.000 centres within the network, all publicly accessible places where people can get help to access computers, the internet and other digital technologies. eSkills for Jobs (http://ec.europa.eu/enterprise/sectors/ict/e-skills/index_en.htm) is a campaign coordinated by DIGITALEUROPE and European Schoolnet in conjunction with hundreds of national and pan-European partners including Telecentre Europe and many major IT industry partners. It comes under the umbrella of the European Commission’s Grand Coalition for Digital Jobs (https://ec.europa.eu/digital-agenda/en/grand-coalition-digital-jobs-0), an EU-wide multi-stakeholder partnership helping to address a shortfall in the number of European citizens with ICT professional skills, and to exploit the employment creation potential of ICT. Contrary to what many people may believe, not every European is digital yet. But we’re getting there. Thousands of non-formal education providers such as telecentres, non-profits and libraries are already busy bridging the gap. They work throughout the year to get people online, improve their digital skills and provide pathways to civil participation and employment. Telecentre Europe celebrates the work of all these digital inclusion and empowerment organisations this March 23-27th through our flagship initiative, the European Get Online Week (GOW). The Campaign will see the involvement of 24 countries and directly target more than 50,000 Europeans. The objective is to reach a wide audience as possible and specifically those who are not used to technology and online tools or who may benefit from expanding their digital skill-set. Most of the organisations implementing the activities in their countries are called National Partners and are also active members of Telecentre Europe. Digital Empowerment: we would like to address primarily young people and those who are unemployed, in order to raise awareness about the existent skills gap and employment opportunities related to these skills. Digital Inclusion: we are also reminding society that many people still do not have access to technology and Internet, and therefore we need to make an effort to attract first time computer users to the online world. In terms of sub-themes, GOW will for the first time these year include coding for inclusion activities in telecentres, through which participants will be able to learn how to code. We will also encourage the introduction of e-participation tools to communities, so that new audiences can find out how to participate actively in their local, national and European decision-making processes. There will also be activities to attract small and medium companies to go digital, through workshops and mentoring. 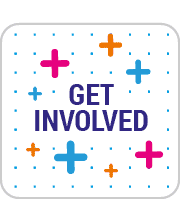 Since 2010, the year in which GOW first started, over 700,000 people have been involved in campaign activities. This year is Get Online Week 6th edition. GOW 2015 was launched today in Riga, as the first milestone of the European Commission’s eSkills for Jobs Campaign 2015 by Telecentre Europe’s Chair Mara Jakobsone. GOW is once again part of the eSkills for Jobs campaign and this enhances its impact and visibility. Microsoft and Liberty Global also continue their commitment to support the Get Online Week in 2015. 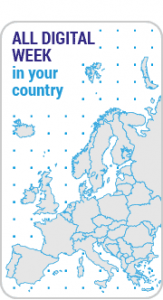 The European Get Online Week organized by Telecentre Europe and planned on 23-29th March 2015 looks promising: 22 national partners have already registered, covering at least 21 countries in Europe, but registration is still open and we expect more partners to join soon. Students and unemployed will be the first target groups of the next European GOW edition on digital empowerment. Yet, the campaign activities will also target other groups like graduates looking for jobs, people with disabilities, people coming from rural or disadvantaged areas, and seniors. New topics will enrich the 2015 campaign: coding for digital inclusion and eParticipation. More details about these will follow in the next weeks, but in the meantime you can find below a glimpse of early plans in registered partner countries. 2015 will be the year of technological education in Czech Republic. Therefore coding and online safety activities will be organised for children and the youth by NCBI. LIKTA is planning a high-level policy event to reflect on National Coalition for e-Skills in the last 2 years. Libraries and SMEs will also be involved in Latvia during the campaign. Seniors will get ICT trainings and will be involved in inter-generational activities organised by EOS in Romania. ECP in the Netherlands will launch Digital Help Plaza – an online platform to test digital skills and get support. Around 400-500 events are estimated to take place in Poland during the Get Online Week organised by FRSI. Italy will see a boost in activities this year: two partners Fondazione Mondo Digitale and ERVET are planning to team-up on national and regional levels. Two projects IT 4 Youth and Mobile Literacy delivered by PH International will engage citizens in Russia to use tablets and smartphones to access the Internet. Quiz, gaming, coding and other experimental activities are promised in the GOW plan in Portugal which will be run by FCT. Spanish Association of Telecentre Networks will look into women as entrepreneurs in ICT and will host International Telecentres Meeting on the topic. New member Simbioza Genesis from Slovenia will organize ICT Breakthrough computer workshops for young people. Many similar activities will take place in Croatia by Telecentar, Lithuania (Langas I Ateiti), Slovakia (Aptech Europe), Estonia (Smart Work Association), Sweden (Sambruk), Ireland (FIT), Macedonia (Open the Windows), Serbia (International Aid Network), Germany (Stiftung Digitale Chancen), Albania (Albanian Institute of Science), Bulgaria (ICTDBG). In many countries partners are planning to promote and use a recent online tool YouRock.Jobs for youngsters to build their professional profiles as well as Skillage to test their current e-Skills. Not every European is digital just yet. But we’re getting there. Thousands of community telecentres get people online and on jobs across Europe. We celebrate their work in the last week of March every year, by organizing European Get Online Week – to empower a digital Europe. On 23-29 March 2015, Europe is invited to enter a digital world full of benefits. With 20% Europeans still offline and with 39% of the EU workforce lacking proper digital skills, the campaign partners have much to do, especially looking at the hundreds of thousands of digital jobs available on the labour market. The equation is simple. Get those 20% online and get those 39% aware and ready to take the available digital jobs. In 2015 Get Online Week will seek to contribute to the larger eSkills for Jobs campaign of the European Commission. Joining forces together will enhance the impact and will open new opportunities for campaign participants. Telecentre Europe will work with its member organizations (telecentres and its networks, public libraries, other NGOs) as GOW national partners to engage at least 5,000 community learning centres in campaign activities that will involve directly at least 50,000 people and reach out to at least 2,000,000 Europeans. The final Get Online Week 2014 report summarizing all activities across European countries is now available online. The 5th annual European Get Online Week (GOW) organized by Telecentre Europe took place in 25 countries on 24-30 March this year. Apart from its main mission to encourage people to gain basic knowledge about the Internet, the focus of this year’s GOW was to raise the awareness amongst the young and unemployed on the e-skills needed for the 21st century workplace. This was the first year when GOW was part of the year-long eSkills for Jobs campaign organised by the European Commission, European SchoolNet and Digital Europe. GOW’s alignment to eSkills for Jobs and to the Grand Coalition for Digital Jobs has been extremely positive, boosting the reach and impact of GOW partners and actions. Roughly 104,000 Europeans were involved in the GOW 2014, almost 54,000 taking trainings while another 50,000+ attended over 5,000 events at national or local level, like seminars and workshops. More than 7 million people were reached in total during this year’s campaign through media and social media. Special thanks to: Liberty Global who supported the launch of a new youth career site YouRock and the creation of an infographic on ICT jobs and skills; and Microsoft for providing certifications on e-skills training and YouthSpark initiative which connects youth and ICT. It is also worth mentioning that HP Life Programme was promoted during GOW in events and by organizations with a focus on entrepreneurship. Social innovation and entrepreneurship have been present in trainings, webinars, games and best practices set up for young entrepreneurs. In addition, 3,000 young people received Microsoft donated certifications to improve their employability. In five years of GOW – 150,000 Europeans have used the Internet for the first time and more than 700,000 people have improved their lives since the start of this annual campaign. Over 10 million Europeans got to know about e-skills and telecentres. A successful GOW campaign was also running in Africa (MENA) co-organized by Telecentre.org Foundation. More details are coming in the final GOW campaign report next week. GOW14 in full swing: 40,000 Europeans reached so far! – Organisations in 25 European countries are involved in activities related to GOW. – GOW14 crossed the European borders, expanding to Africa and the Middle East (see the MENA campaign summary here). In a video address made yesterday, Vice President of the European Commission Ms. Neelie Kroes introduced this year’s Get Online Week and underlined the importance of e-skills for our young people – to get them into practical training that will bring them concrete work opportunities. In addition, Ms. Kroes still dreams of every European digital. That is exactly what we want to achieve with the Get Online Week in the long run! From March 24th to 30th 2014 Telecentre Europe organises its 5th annual edition of the European Get Online Week (GOW) a campaign aiming to raise awareness amongst the young and unemployed on the e-skills needed for the 21st century workplace. Are young people really ICT savy? Although 89% of 16-24 year olds in the European Union are digital natives, many young people are not yet aware which e-skills are needed to find a job and to build a career in the 21st century workplace. If we don’t address their knowledge gap now, they won’t have the chance to fill the projected one million jobs requiring ICT skills to be available in the next ten years. The European Get Online Week is an annual campaign that aims to spread the word about the existing e-skills gap in Europe and how, if not dealt with, the phenomenon may create missed opportunities for our youth. As digital inclusion is still important in a number of European countries and for some telecentres, Get Online Week will also continue to get targeted groups of users on the Internet for the first time. A number of awareness and education activities targeted primarily at the young (18-24 year olds) will take place in more than 5.000 European ICT learning centres (also known as telecentres) in 20 countries, but also at libraries, schools and public spaces, located in both urban and rural areas. For a precise list of GOW activities per country please click here. Networks of telecentres and NGOs/civil society associations with a specialty in digital literacy and e-inclusion from 20 countries have once again decided to empower their youth to use technology to find a job and get concrete opportunities for career development and training. Together, these “GOW National Partners” aim to reach directly at least 50.000 Europeans. In addition, this Get Online Week has, with the help of our founding organisation Telecentre.org Foundation, expanded outside Europe- to countries in Africa and the Middle East. For more information please go here. Liberty Global and Microsoft continue their commitment to support the Get Online Week campaign this year. Microsoft is supporting the GOW through its YouthSpark: a company-wide, global initiative to create opportunities for 300 million youth over three years. Through YouthSpark Microsoft provides grants to eligible organizations whose missions and activities support youth development and donates software and services to a broad array of eligible nonprofit organizations. Within the GOW 2014 Microsoft will collaborate with many of our National Partners to bring concrete e-skills and training to youth. More information here. Liberty Global will, together with Telecentre Europe, organise the launch of the YouRock initiative during the GOW in a number of European countries. YouRock is a new online youth employability service, helping this target audience identify their hidden work skills and build a profile for employability. More information here. How is the GOW related to EU policy developments? GOW willl this year be embedded into a major year-long digital empowerment campaign, the European e-Skills for jobs campaign, organised by the European Commission, EuropeanSchoolnet and DIGITALEUROPE. It aims to raise awareness of the need for citizens to improve their command of information and communication technology (ICT) skills for work. The campaign is a response to the growing demand for ICT-skilled professionals which is currently not met, despite high level of unemployment in Europe. Both the e-Skills campaign and the Get Online Week support the Grand Coalition for Digital Jobs. In fact, the Get Online Week was officially launched by TE’s Director Gabriel Rissola on March 19th during the workshop titled “Growing National Coalitions for Digital Jobs” at the European Commission. The European Get Online Week was inspired by the campaign with the same name ran by UK Online Centres. Telecentre Europe, with the support of Telecentre.org Foundation took it to the European level as it aimed to get new users online by organising activities and trainings in their local ICT learning centres (telecentres). Since its take-off in 2010, the Get Online Week campaign has reached more than 600.000 Europeans in more than 20.000 learning centres across Europe. Thanks to the campaign, more than 100.000 people have used the Internet for the very first time. More information on past editions of the GOW here. Media: Video by high-level EC representative and Infographic on e-Skills gap will be available on our website soon!